Backed by a team of diligent and adroit professionals, our organization is highly devoted towards offering a wide range of excellent quality Made UPS Woven Upholstery Fabric. Keeping in mind the ever-evolving requirements of our valuable clients, we are offering an exclusive range of Embroidered Made UPS Fabric. The provided fabric is woven by our adept professionals using premium grade fiber and latest machines. 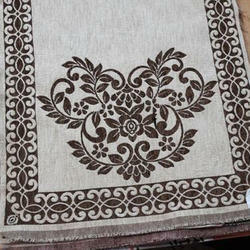 This fabric is available in various attractive patterns as per the requirements of our clients. Offered fabric is highly acknowledged by our clients owing its attractive prints and glossy finish. 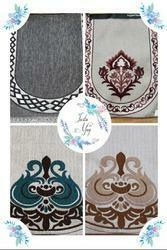 Owing to our years of industry experiences, we are offering a wide range of Designer Made UPS Home Furnishing Fabric. 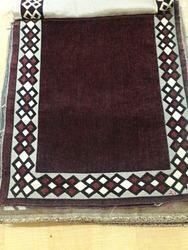 The provided fabric is woven under the supervision of our experts using high grade fiber and latest machines. This fabric is available in various attractive patterns and beautiful prints as per the requirements of our clients. Owing to its smooth texture and seamless finish, the offered fabric is highly demanded by our clients. Keeping in mind the ever-evolving requirements of our valuable clients, we are offering an exclusive range of Textile Made UPS Home Furnishing Fabrics to our valuable clients. This fabric is highly required in textile industry for making the beautiful collection of home furnishing items, blankets, kitchen linen and others. 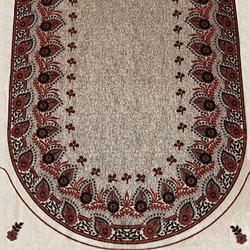 It is highly admired among our esteemed patrons for its unique designs and patterns. Apart from this, our clients can purchase this fabric from us at lower prices.